A research team from the US has shown that text messaging changes the rhythm of brain wave patterns in a way that’s never seen before. The discovery shows that smartphones are literally altering the way our minds work. We’re texting more than ever, yet little is known about the neurological effects of smartphone use. A new study shows that textural communication elicits a unique waveform, or “texting rhythm”, in the brains of some individuals. It’s a fascinating finding, one that shows how incredibly adaptable our brains really are, and how our cognitive processes change when confronted with new and mentally challenging technologies. Now, sending texts on your smartphone may not sound like a particularly challenging task, but there’s a lot going on when you’re putting together a message. In addition to formulating a succinct, nonverbal message (not to mention choosing that critically important emoji), smartphone users need to be able to hold the device, apply fine finger dexterity while typing, and focus their eyes on a relatively small screen. Together, all these tasks are tapping into various compartments of the interconnected brain, and together they’re producing the new texting rhythm. 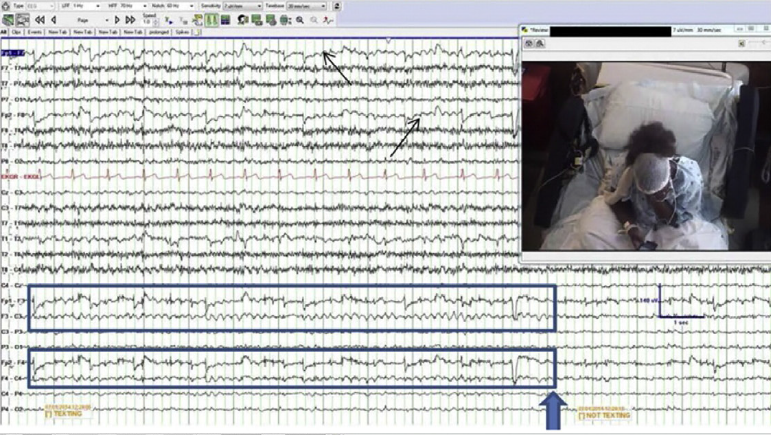 To make the discovery, Tatum’s team at the Mayo Clinic analysed electroencephalogram (EEG) data from nearly 130 participants. In conjunction with video footage, their brain waves were monitored over a period of 16 months. The researchers found that at least one in five participants who were texting with their smartphones exhibited the new texting rhythm. (It’s not immediately clear why 4 out of 5 participants did not experience this effect, so more research is clearly needed.) This neurological effect was also produced when participants used an iPad, but not when smartphones were used as traditional audio mobile phones. These results held true even after screening for demographic information, such as age, gender, and other factors. It’s important to note that this study, which was published in the Epilepsy and Behavior journal, included many participants with epilepsy. But the researchers stressed that the texting rhythm effect was unrelated to this neurological condition.